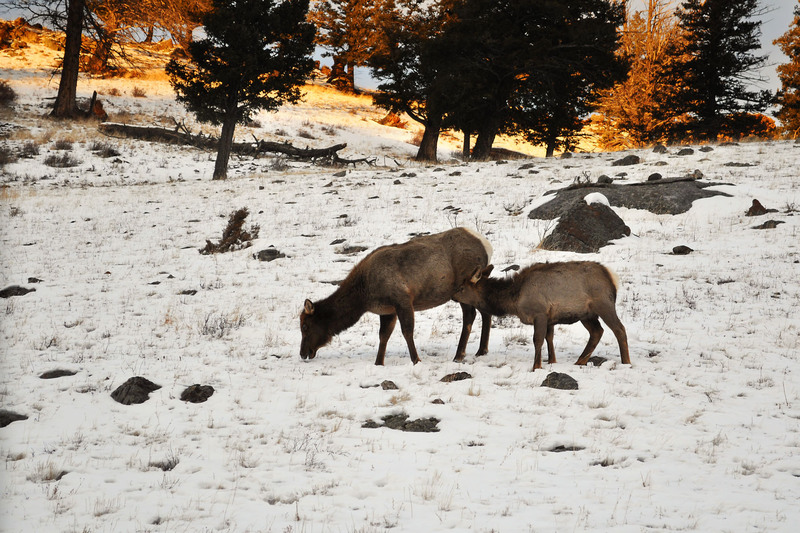 thomasoneil.com Yellowstone National Park, January 2019: Elk near Mammoth Hot Springs, Yellowstone National Park, January 30, 2019. Photo by Susan Pilaszewski-O'Neil. [#9769-0538] Click on image for next photo.